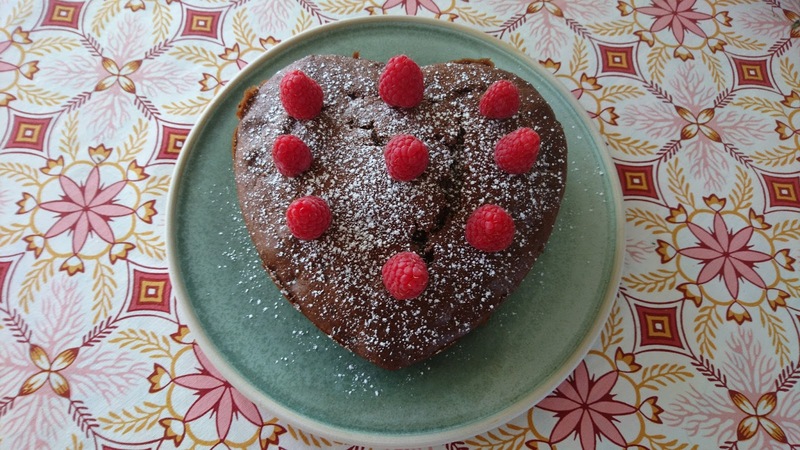 I found this recipe on chocolate cake at isabellas.dk, where the use of raspberry, rose and yogurt in chocolate cake triggered by curiosity to try out this flavour combination. I already know, that my good friends in Horsens will start to get small tics, when they see the use of rose in cake !!! being afraid of a flavour overdose turning the entire cake into soap. 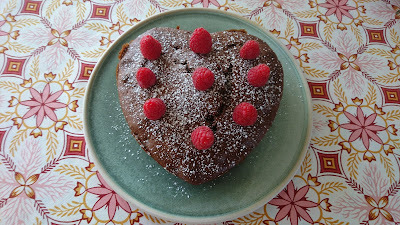 This was not the case, the cake has a delicate flavour of rose, which brings something extra to this chocolate cake. So it is not the last time, that I will bake this chocolate cake. I made a few modification to the original recipe in form of adding real chocolate instead of only cocoa powder into the cake dough. I used milk chocolate, but if you are bigger fan of dark chocolate, when use dark chocolate instead of. Instead of Greek yogurt I used normal plain yogurt, as this was I had available in my refrigerator. So use the fermented milk product, which you have available. Start by whipping the butter and sugar into a white foamy mass. Add in the egg one by one, and whip the cake dough in between, so it becomes homogeneous before addition of the next egg. Add flour, baking powder, cocoa powder and salt into cake dough, and stir until homogeneous. Add in the rose flavouring and yogurt, and stir until homogeneous. Finally stir in the chocolate pieces. Place the fresh raspberries in the bottom of a silicone form. Pour the cake dough on top of the raspberries. Bake the chocolate cake in the lower part of the oven at 180'C for 30-40 minutes. Before removing the cake from the oven, check that the cake is baked entirely. Let the cake cold down, before removing it from the form. Sprinkle the surface with icing sugar and decorate with fresh raspberries.